3. When turn on the switch, the light went into auto color changing mode.Press the touch switch one time,it will change one color. 4. LED Colors Change: Red / Green / Blue / Yellow / Cyan / Pink / White. 5. Long press the switch for three seconds will turn off the light. 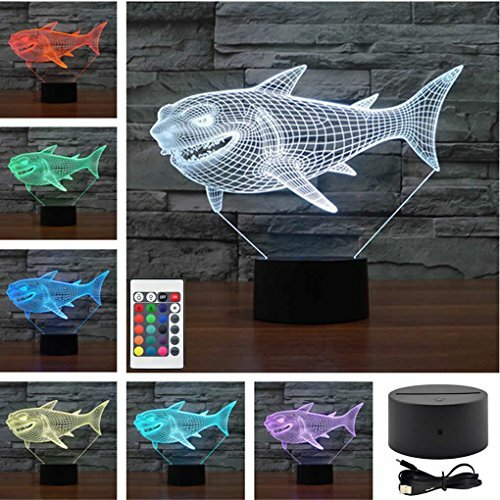 Perfect for home decoration, Perfect night light, It can be put in bedroom, child room, living room, bars, shop, cafe, restaurant etc as decorative light. Note: Not Includ Battery CR2025 3V / 3D is a kind of visual effect, is actually a piece of flat Acrylic. Touch Switch/Remote , safe environmental protection. ABS Plastic Base and Acrylic Board , non-taste, non-volatilization, non-toxic. 0.5W Low Power, Completely flat Acrylic board, make amazing 3D effects. lightweight, convenient and practical. 7 Colors 10 PCS LEDs light is more Uniform, more Downy, energy-efficient LED lights have a life span of 10,000 hours, Low power consumption, low heat. LED Colors: Red / Green / Blue / Yellow / Cyan / Pink / White. When turn on the switch, the light went into auto color changing mode.Press the touch switch one time,it will change one color. If you have any questions about this product by AUCD, contact us by completing and submitting the form below. If you are looking for a specif part number, please include it with your message.